With less than two weeks remaining before the state 2A/1A indoor track championships, Polk County hoped to use a pair of home track meets this week to qualify additional athletes for the Feb. 13 state event. The weather, though, isn’t exactly cooperating. Rain and wind greeted the more than 500 athletes slated to compete in Tuesday’s WNC Polar Bear meet in Wolverine Stadium. The conditions didn’t stop the meet from taking place, the event ending around 8:30 p.m., but athletes began leaving before the meet ended, leaving only a handful of teams still present when the final 4×400-meter relay was run. Polk County’s boys won the 24-team boys meet, finishing with 68.5 points to top Asheville’s 62. A.C. Reynolds, Murphy and T.C. Roberson rounded out the top five. In the 21-team girls field, Polk County placed third behind T.C. Roberson and West Henderson. But the order of the day was trying to get additional athletes qualified for state competition, and Polk County added one to its total – Emma Wagoner notched a long jump of 15-1.5 to qualify in that event. The Wolverine boys 4×200-meter relay team nearly joined Wagoner, missing qualifying by eight-hundredths of a second. 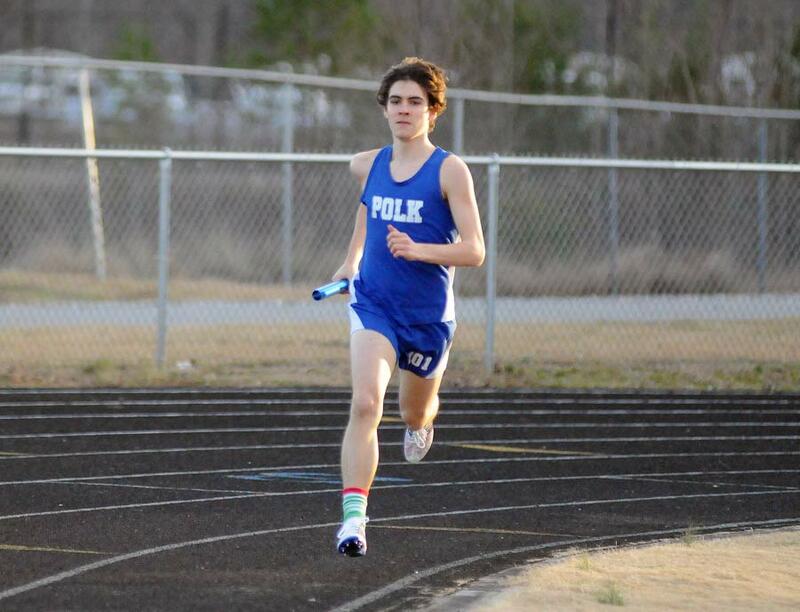 The Wolverines had just one event win on Tuesday, the boys 4×800-meter relay team posting a time of 8:42.59 to defeat Reynolds by nearly six seconds. Polk County’s Tameeia Brown finished second in the shot with a throw of 33-1, upping her qualifying performance by almost three feet.